A running jacket belongs to every runner's basic set of equipment. This goes for both pre-season winter activities and summer trail runs! If the upper body is well-protected, running is much more relaxing. This is true of both jogging and trail running. Unpleasant weather is no longer an excuse with the right running wear! Aside from appearance and design, the functional properties of a running jacket play an important role. These include keeping the upper body dry and protected from wind. 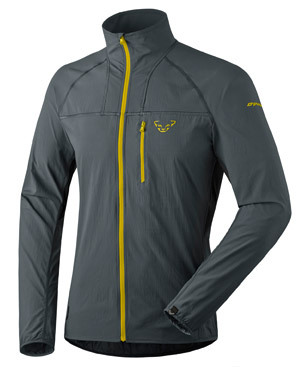 This is where running jackets have a significant overlap with Windstoppers and rain jackets. Like running shoes, special running wear has decisive advantages. Nobody hits the trail with worn-out sneakers! The biggest manufacturers have vast experience in running. They work closely with top athletes on development. Running jackets from Dynafit, Inov-8, Salomon, Adidas, and Pearl Izumi win customers over with consistent designs that are devised with an end in mind. Every little detail fulfills a function and has its own purpose. 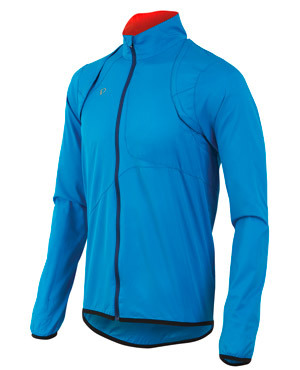 A good running jacket is characterized by a reasonable combination of materials. Particularly sensitive areas of the body are protected from wind, cold, and drizzling rain. Heat and vapor can escape through the material and the well-placed ventilation openings. For this reason, running shirts and running jackets are furnished with a ventilation system. They consist of windproof material and are water-repellent. Reliable breathability is just as important. Models with membranes are the standard in this area. Like in every other outdoor sport, the onion principle is mandatory in jogging and trail running. The first layer goes directly on the body. It is form-fitting, moisture-conducting, and provides a dry body climate. A running shirt and a running jacket are eventually added on top of that, protecting you from the elements. The size and cut of the jacket are tailored to the purpose at hand. A light wind jacket for running has a more form-fitting cut since it rarely needs to be combined. Within the first few kilometers, you can tell if a running jacket is well-made. Does it bother you while you're moving? Does the jacket have a pocket for your keys? Do the sleeves stay in position, and is your lower back protected? These are small details, but they're absolutely important. Other features include properly-closing cuffs with thumb loops, a soft-lined collar with chin protection, and a headphone outlet. These improve comfort during lengthy activities. Runners who seek pleasant experiences value quiet, rustle-free material. If you're frequently on the go, choose a model with zip-off sleeves. In a flash, your jacket becomes a lightweight running vest! And so you can hit the trail on windy days with your upper body optimally protected while still preventing overheating.